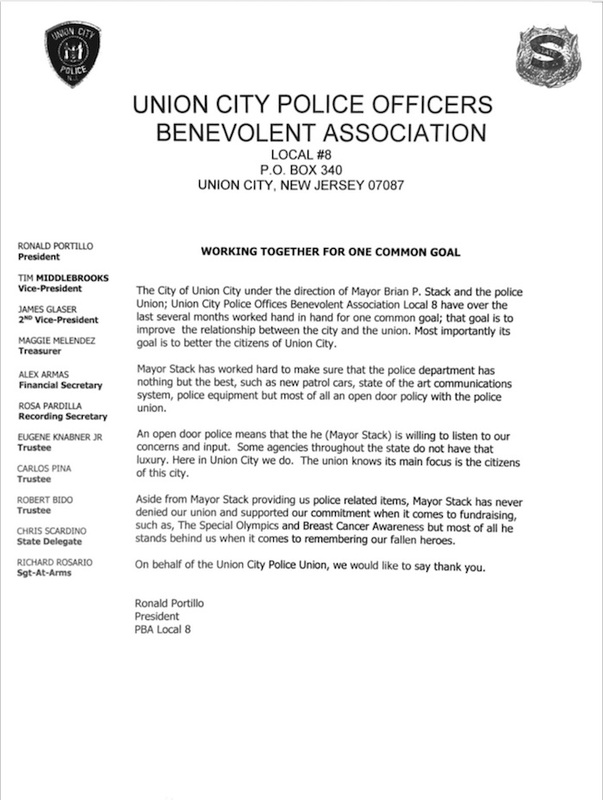 Union City Police Union submits letter thanking Mayor Stack administration for keeping an "Open Door Policy"
Home Featured Stories Union City Police Union submits letter thanking Mayor Stack administration for keeping an "Open Door Policy"
The City of Union City under the direction of Mayor Brian P. Stack and the Police Union; Union City Police Offices Benevolent Association Local 8 have over the last several months worked hand in hand for one common goal; that goal is to improve the relationship between the city and the union. Most importantly its goal is to better the citizens of Union City. Mayor Stack has worked hard to make sure that the police department has nothing but the best, such as new patrol cars, state of the art communications system, police equipment but most of all an open door policy with the police union. An open door police means that he (Mayor Stack) is willing to listen to our concerns and input. Some agencies throughout the state do not have that luxury. Here in Union City we do. The union knows its main focus is the citizens of this city. Aside from Mayor Stack providing us police related items, Mayor Stack has never denied our union and supported our commitment when it comes to fundraising, such as, The Special Olympics and Breast Cancer Awareness but most of all he stands behind us when it comes to remembering our fallen heroes. 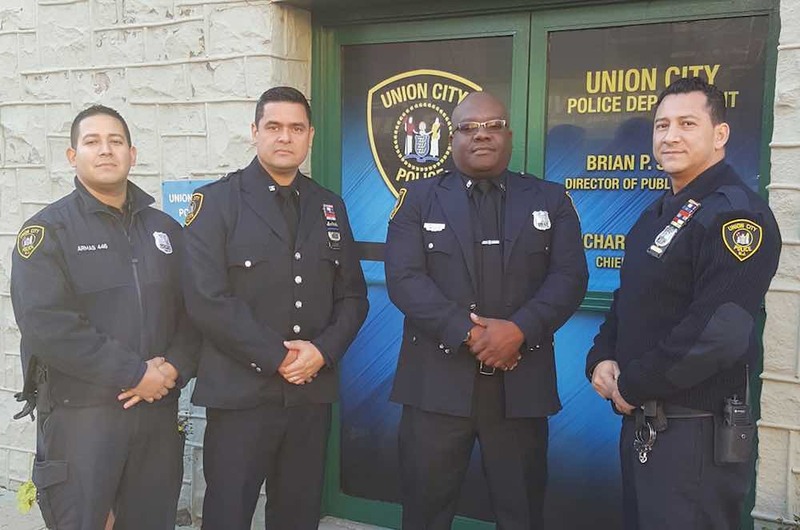 On behalf of the Union City Police Union, we would like to say thank you.